Splash protection from head to toe. 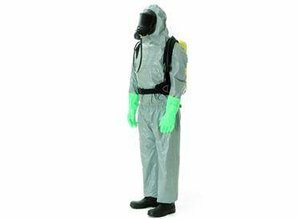 The protective overalls SPC 3800 prevent contact with solid and liquid chemicals and is primarily used in industry and shipping. The chemical protective overalls SPC 3800 (Splash Protective Clothing) are approved according to the category Type 3 (liquid-tight ) and in accordance with SOLAS. The SPC 3800 is CE-certified and classified as chemical protection Type 3, 4, 5 and 6. Furthermore, it is antistatic according to EN 1149-1 and has been tested for resistance to infectious agents according to EN 14126.